This weekend marks the Berkshire Hathaway (BRK-A) (BRK-B) annual meeting. Often called "Woodstock for Capitalists," tens of thousands of investors and media make the pilgrimage to Omaha, Neb., to hear Berkshire CEO Warren Buffett and his Vice Chairman Charlie Munger quip about the company, life and investing. The price of entry is a stake in Berkshire Hathaway. While that runs about $122,000 for a class A share, we mere mortals are now able to buy a class B share for around $80. That deeply discounted price is thanks to the stock split Buffett's engineered of that share class to help smooth the logistics of his purchase of the Burlington Northern Santa Fe railroad a few years ago. What's So Special About Berkshire? 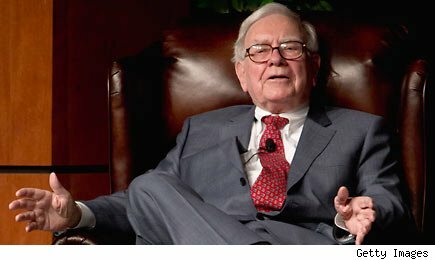 That railroad purchase is just one of the eclectic and successful investments that Buffett has made over the decades that have earned him a well-deserved reputation as the World's Greatest Investor. Buffett's Berkshire itself started out as a failing textile company, morphed into an insurance business, and now is something of a conglomerate. The company owns businesses in industries from bricks (Acme Brick) to chocolate (See's Candies), electricity generation (MidAmerican), executive aircraft (NetJets), restaurants (Dairy Queen), and even underwear (Fruit of the Loom). Add to that substantial investments in major public companies like Coca-Cola (KO), American Express (AXP), and IBM (IBM), and you have Berkshire Hathaway -- a single business that's quite unlike any other. While Berkshire is indeed a one-of-a-kind company, it is extraordinarily successful because of the the man at the top. Buffett's decades-long stewardship at the helm have brought investors tremendous returns, thanks to his incredible capital allocation skills. And because the company is so intertwined with the investor that made it what it is, there's a certain air of freedom at the annual meetings that you won't find at many other corporate events. During the meeting, Buffett will tell it like it is, because there's nothing -- not even prostate cancer -- that can keep him from leading the company he assembled. That freedom extends to the Berkshire subsidiaries, too. Indeed, according to Buffett, being bought out by Berkshire is like getting a wing in the Metropolitan Museum of Art, as subsidiaries are encouraged to operate as largely independent continuing concerns. That's a benefit of being acquired the way Buffett picks up companies -- for your cash-generation abilities, rather than your potential for being gussied up and resold later. In large part because of that freedom, something of a cottage industry has sprung up around these annual Berkshire meetings. At an event where business rules, there's money to be made. This year, for instance, Berkshire Hathaway subsidiary Brooks Sports is selling a $110 pair of running shoes that feature a cartoon image of Buffett on them. If you don't need new kicks while you're in Omaha, just browse through the whole 28-page booklet of stuff to do (and naturally, things to buy) during the event: Diamonds from Berkshire's Borsheims jeweler, food from its Dairy Queen, insurance from the GEICO gecko, and likely even a Cherry Coke or two (one of Buffett's favorites) will be available. The Berkshire Hathaway annual meeting, with all its celebration of Buffett and the companies he has assembled, truly has earned its Woodstock for Capitalists nickname. And while it's too late to become a shareholder of record in time for this year's meeting, the base price tag for admission to next year's is the cost of one class B share. For that low price, not only do you get a ticket to the biggest show in corporate annual meetings, you get a slice of one heck of a company at no extra charge. A team of Motley Fool analysts will be live-blogging from the annual meeting, sending out Buffett's and Munger's can't-miss investing tips, one-liners, and general words of wisdom. Make sure to enter your email in the box below to receive a reminder and link to our live chat, starting Saturday at 9 a.m. EDT. At the time of publication, Motley Fool contributor Chuck Saletta owned shares of American Express. The Motley Fool owns shares of Berkshire Hathaway, IBM, and Coca-Cola. Motley Fool newsletter services have recommended buying shares of Berkshire Hathaway and Coca-Cola, as well as writing a covered strangle position in American Express.